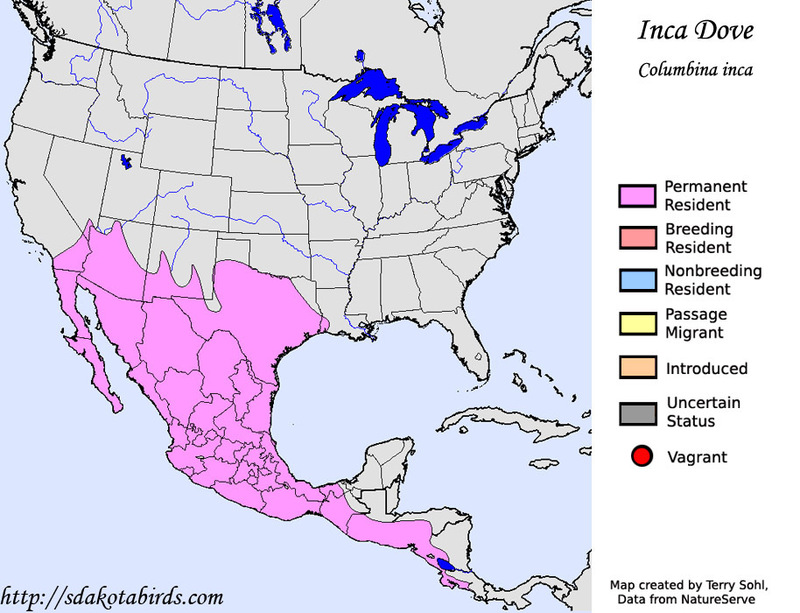 The name "Aztec Dove" would have an advantage in that it would be easier for birders to remember the swtich from "Inca Dove" to "Aztec Dove" than from "Inca Dove" to some name that isn't based on an indigenous civilization within the bird's range (like say "Mexican Dove" or "Scaly-backed Dove"). Plus Aztecs are probably better known to American birders than other Mesoamerican indigenous peoples, except perhaps the Maya. You're right, however, that if the name change is being made for the sake of cultural sensitivity, that we should be sure that it's actually sensitive. I hope that the AOU naming committee consults with their colleagues in Mexico and Central America before settling on a new name. I see from Avibase that there are a variety of Spanish names for the bird; maybe one of those could be adopted. For what it's worth, names meaning "Aztec Dove" are already used in a few other languages (but not Spanish). I don't see the limited extent of the Aztec civilization as necessarily being a problem. We already have plenty of other species named for only parts of their range (like Carolina Chickadee, Canada Goose, and California Gull — you can probably think of others). The circumstances aren't exactly the same, but I think a name like "Aztec Dove" could fit into that precedent. Thanks for your comment. Your second point speaks to the point I made very briefly but didn't elaborate on (it was late and I was tired), that I don't think accuracy matters a whole lot in bird names. In fact, I think part of the charm for a lot of species (including, arguably, the Inca Dove) is the stories behind their unusual names. While inaccurate names (like Inca Dove or Hairy Woodpecker) or misleadingly-specific names (like Carolina Chickadee or Canada Goose) or confusing names (like the bird singled out by Dr. Remsen - the Evening Grosbeak) may be a thorn in the side of those seeking scientific accuracy, for people like me they can be delightful bits of poetry, as well as reminders of our history.